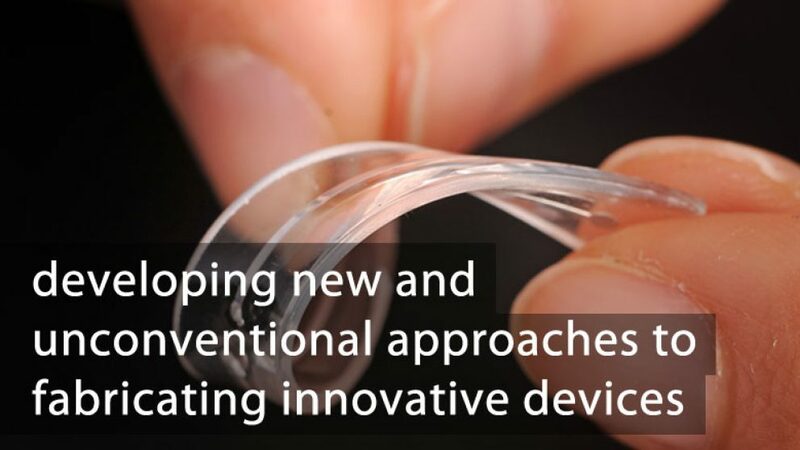 The overarching motivation of our work is to study materials with remarkable properties to enable new applications (e.g., energy harvesting devices, sensors, soft and stretchable electronics, self-folding sheets, etc.) in a simple, inexpensive, and scalable manner. 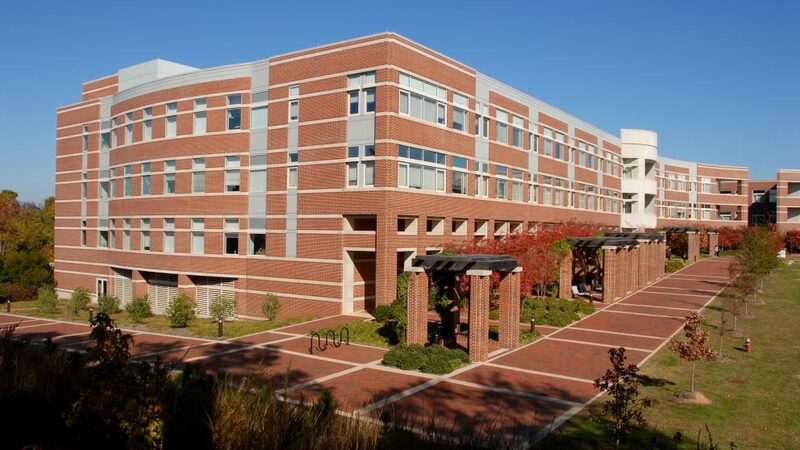 We are part of the Chemical and Biomolecular Engineering Department at NC State located in EB-1 on Centennial Campus Our lab is a friendly environment consisting of an enthusiastic group of post-docs, graduate students, and undergraduate research assistants. In addition to research, our group participates in several science outreach activities. Our projects are often collaborative and we welcome new collaborations. We study interdisciplinary problems that involve thin-films, interfaces, soft materials, and micro- and nanofabrication. 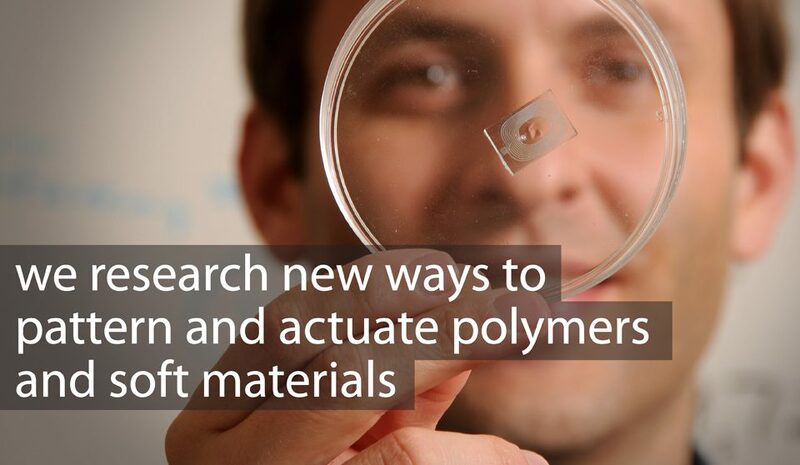 Our research has applications in a number of areas including stretchable electronics, smart materials, soft / biomimetic electronics, and energy harvesting. In general, we seek to (i) elucidate the fundamental properties of materials to understand their structure-property relationships such that they can harnessed in a useful manner, and (ii) develop new, unconventional approaches to fabricate and assemble structures into integrated devices. Our group typically adds one to two new PhD research students each year. Potential graduate students are encouraged to contact Ms. Sandra Bailey (sbailey@ncsu.edu) for application information. Potential post-docs and undergraduates can direct their inquires to Dr. Dickey. Collin’s work highlighted in NC state website!